I know I've shared this before, but in case you need an easy art project this week that makes kids think of how blessed they are... well this might be for you! Basically it's cutting out 4 hearts of the same size. My class takes a 9 x 12 piece of green construction paper, fold it in half, then fourths, then eighths. Trace a half a heart, then cut out. 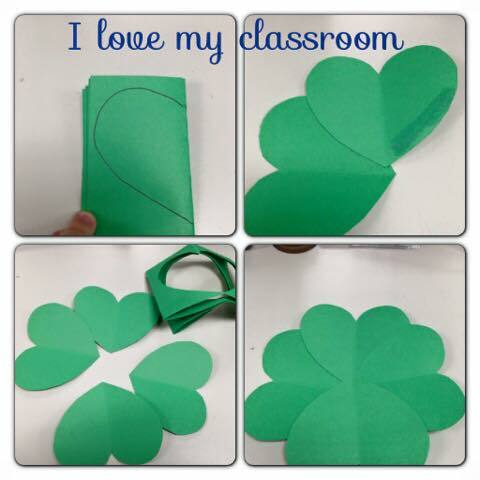 Then glue the edges around to make a 4 leaf clover. It's lucky you know. Making the shape itself isn't the ah-ha moment for the project, it's having the kids think of 4 things they are thankful for... 4 reasons they know they are LUCKY or BLESSED. These are from this year. It's so nice to see them not being concerned about STUFF, and have them focus on the important things in life. Highly suggest using pen or sharpies to clearly see what the kids wrote. 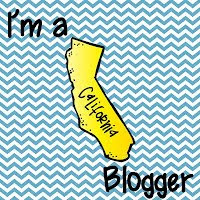 March 14th is Pi Day! Time to Celebrate Math! 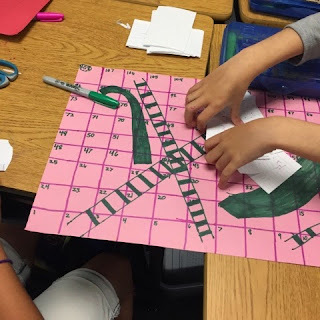 Here are some fun math activities we have done recently. 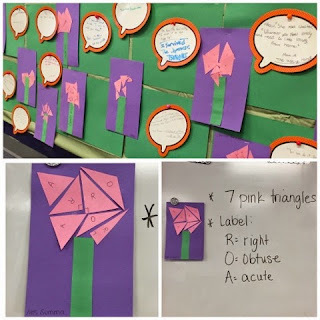 I linked up some old blog posts since I had already written about how I set these up in my classroom. 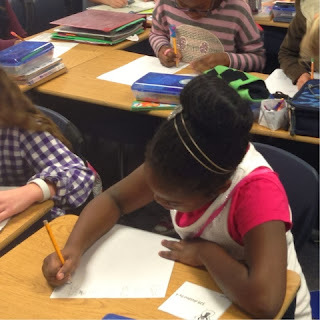 Task Cards: Scoot, Small Group, Intervention, etc. 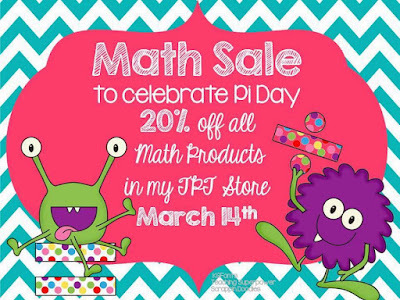 March 14th ONLY my Math Products are on sale. Been eyeing something? I have task cards for basically everything that you might teach!